Festivals have served as the circulatory system of international film culture for more than half a century now, but even given their cyclical nature, the actual experience of going to one is inherently disorienting. The time of year alone is enough to make the Toronto International Film Festival, the biggest world-cinema showcase in North America, a bit of a head-spinner: arriving at the cusp of fall, this sprawling lineup of 339 films aims to reignite cinephilic appetites even as the chill in the air recommends hibernation. TIFF certainly awakens a hunger for the new—not just for those titles that have already won raves at Cannes or Berlin or Locarno, but also for the discoveries and curiosities that might still be in need of championing. 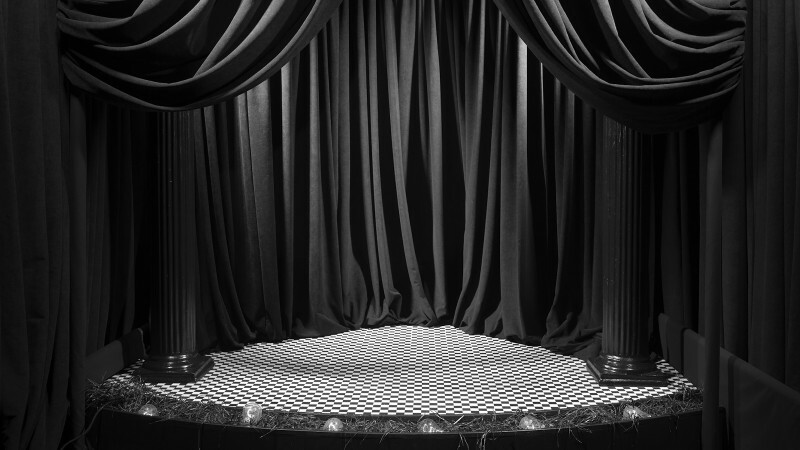 All that newness, crammed into so many hours in the dark, would seem to require a mental adjustment for anyone whose work focuses primarily on the cinematic past, as is the case for those of us at Criterion. But just as any extreme has a way of setting one’s mind drifting in the opposite direction, so my trip to TIFF two weeks ago had me alternating between freshly formed impressions of new movies and unexpectedly resurfaced memories of old ones. What sent my thoughts into the past were the horses. I was trying in vain to remember the last time I’d seen them depicted on-screen with such metaphorical force. These equine beauties weren’t just ornaments of the landscape; they were at the heart of the action in some of the festival’s most devastating entries. There was the titular racehorse in Andrew Haigh’s Lean on Pete, a surprisingly unrelenting descent into the lonesome American West that hinges on the intertwined fates of lost man and doomed beast. 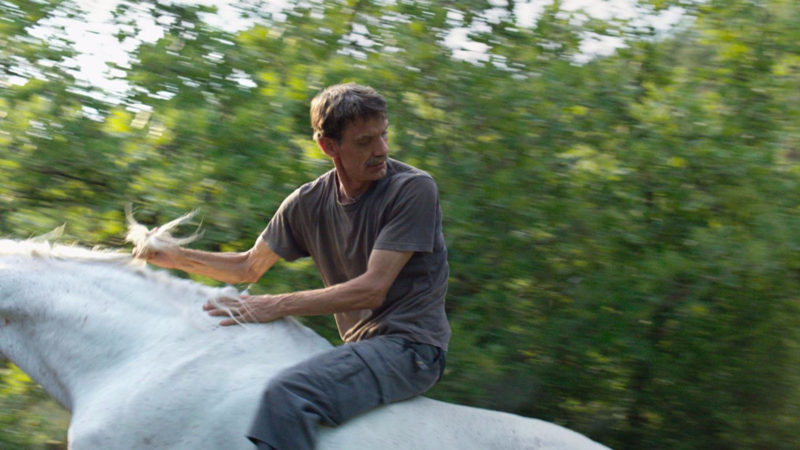 There was the majestic, almost dreamlike white steed in Valeska Grisebach’s Western, a film that throws its poor creature into the crosshairs of a cross-cultural conflict. Yet for all that attention, no movie brought as much emotional urgency to the idea of a profound interspecies connection as Chloé Zhao’s The Rider. This heartbroken drama set amid rural South Dakota’s bronco-riding culture casts nonprofessionals as versions of themselves, centering on a quietly brooding young cowboy named Brady, who’s been sidelined by an injury that threatens to keep him from the one pursuit that brought him passion and purpose. The film opens with a brutal realism that makes you shudder—in one of its first scenes, we’re treated to the bloody spectacle of the hero removing a circle of staples from his head. From there, the film takes a more tender, introspective tone, and though it never foregrounds religion as a theme, its most moving moments have a distinctly spiritual resonance. Caregiving comes naturally to Brady, and his sensitivity is most starkly depicted in his interactions with his autistic sister and a paraplegic best friend who, like him, had been a rodeo star. Brady’s deep chemistry with horses shows us that what he misses is not so much local fame as his sense of mission. In a handful of scenes that become the centerpiece of the film, Zhao gives us an intimate, patiently observed account of a horse trainer’s hard work, demystifying a process that will soon reveal more transcendent dimensions. It’s not until midway through the film that we get a classic wide shot of man and horse galloping across a gorgeous landscape. But when we do, we’ve already come to understand the rider’s ambition not as a misguided, life-threatening bid for glory in a world of circumscribed opportunities but as a sacred calling. 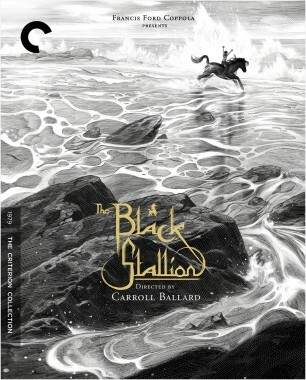 When watching The Rider, it’s hard not to think of Carroll Ballard’s 1979 The Black Stallion, though the two films are so different. And a closer look at them points to how pliable the horse is as a cinematic symbol. 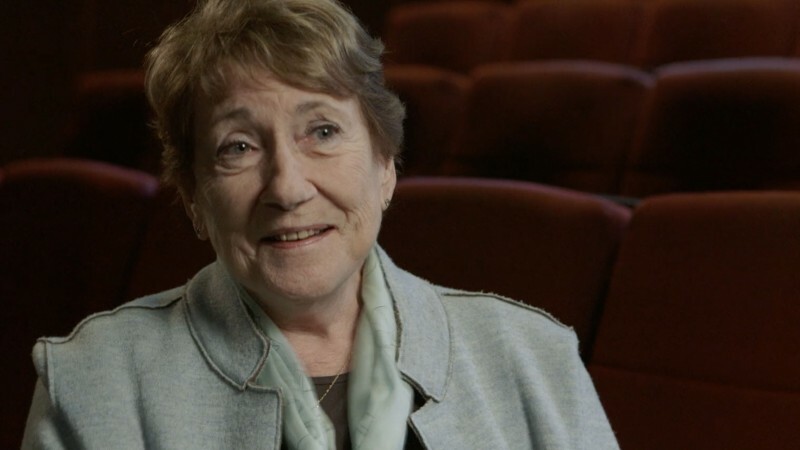 Ballard’s film is a breathtakingly mounted Hollywood fable, and the exotic, camera-ready beauty of its titular character traversing a sand-swept vista is as much its point as anything else. Like The Rider, it begins in sorrow—a child is orphaned and shipwrecked off the coast of North Africa—but here the symbiosis of horse and man presents itself as a solution of mythic inevitability. Not only does each party get the honor of saving the other, but each also serves to highlight the other’s fairy-tale indomitability. Where The Rider gives us a protagonist ensnared by his responsibility to a dream—Brady can no more shake the memory of being on horseback than he can abandon his town or his loved ones—The Black Stallion paints a picture of animal kinship as the ultimate escape: from the vagaries of the human world, from one’s own tragic backstory, from the limitations of one’s youth. In Western, it’s the horse that can’t escape the tangled, politically tainted web of human relations. Another showcase for a remarkable nonprofessional cast, this story of a well-meaning German construction worker who tries to befriend the Bulgarian locals suspicious of his uncouth, sometimes bluntly offensive crew was the one film at TIFF that struck me immediately as a masterpiece. Grisebach’s film brilliantly interweaves a wide range of themes—the tense state of the European Union, in which the West economically colonizes the East; the fraught dynamics of homosocial bonding; the joys and perils of interpersonal exchange in the absence of a shared language. Yet it stands out for the way it turns its undivided attention to the subtle but tangible ways that people, both as individuals and as groups, communicate with and misunderstand each other. 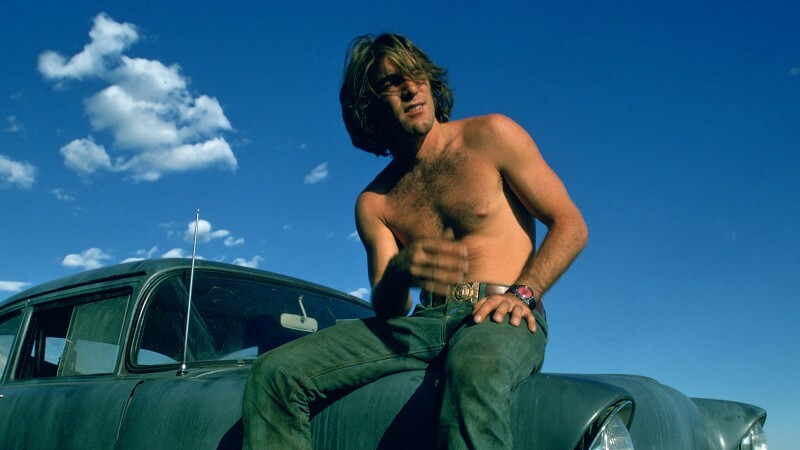 While Western is only vaguely related to that quintessentially American genre its title invokes, the looseness of its approach echoes the ways in which the western has broadened its thematic boundaries over the decades. Back in midcentury Hollywood, directors like Delmer Daves, Anthony Mann, and Budd Boetticher were already evincing an impatience with the formulas of the shoot-’em-up oater, and were infusing them with darker shades of psychology. 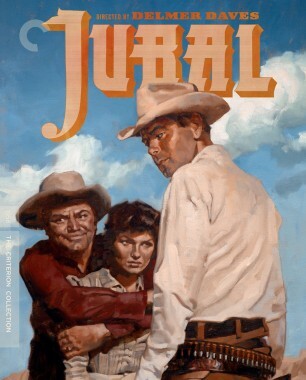 As if to highlight its departure from tradition, Daves’s 1956 Jubal is sometimes billed as an “adult western” and an adaptation of Othello. But like Grisebach’s film, it simply takes the notion of a geographic frontier at the genre’s core and explores its slippery meaning for those who live at the perpetually blurred borders. A mysterious man literally tumbles into a community of strangers, and as in Western, he’s met with a mix of openheartedness and watchful circumspection. In both movies, a woman becomes the flash point—not just a temptation for the newcomer, she is also the possession around which the locals can organize an identity in his presence. How does such suspicion operate? How does it take hold and stymie the relationships that naturally form among good people? While neither film ends without some bloodshed, what they share most resonantly is the way they evoke a particular state of suspension, the kind that arises when two men, entrenched in the tribal antagonisms of their respective groups, fumble toward a fragile but meaningful trust. Not all of my TIFF favorites were this heavy. I don’t want to ignore the life-affirming pleasures of Greta Gerwig’s teen comedy Lady Bird or the delicate, almost airy touch of Kamila Andini’s death-themed The Seen and Unseen—two movies that, along with Zhao’s and Grisebach’s, contributed to an extraordinary showing for female directors this year. But the film that burrowed the deepest path into my memory was, perhaps unsurprisingly, the most harrowing. Going into Wang Bing’s latest documentary, Mrs. Fang, I was too busy cracking jokes about how much shorter it is than his previous works (his breakthrough film, Tie xi qu: West of the Tracks, clocks in at nine hours; his recent masterpiece ’Til Madness Do Us Part comes in at close to four) and had somehow failed to realize I’d be watching almost an hour and a half of a woman lying on her deathbed. Wang’s decision to focus on the final days of her life—the end of a long battle with Alzheimer’s, which we’re not made aware of until the close of the film—makes sense in the context of a career that has been devoted to cinematic extremes. As in much of his best work, the camera takes stock of the smallness of human activity within a cramped room, somewhere on the neglected outskirts of Chinese society. He doesn’t wait for this activity to bubble over into conflict; he doesn’t make value judgments on the moments of pettiness or compassion that emerge. His camera is blank-eyed, capturing life as it moves backward and forward in these constricted spaces. But even as we long for him to elicit some kind of warmth or tenderness, it’s always his steadfast dedication to inhabiting the stuttering rhythms of day-to-day existence that moves us. 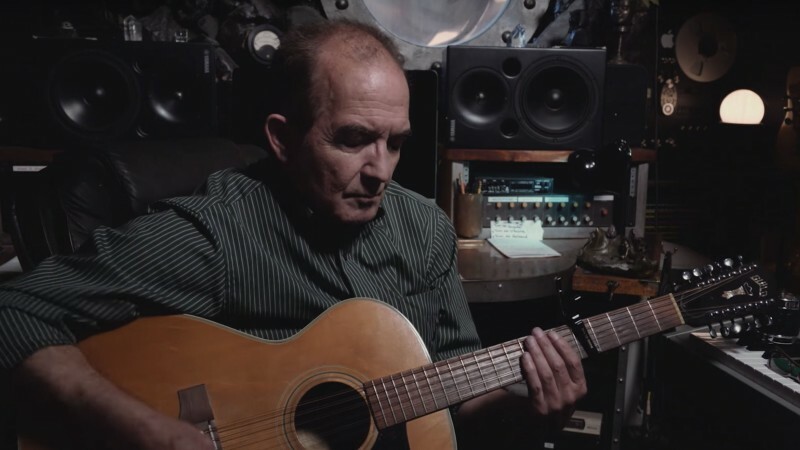 The pure, bitter truth of mortality can push a filmmaker into flights of experimentation. 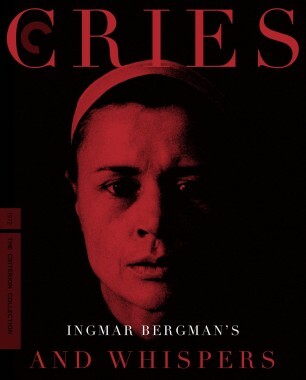 Ingmar Bergman worked his theatrical sensibility into a womb-red fever when confronting the deathbed experience in 1972’s Cries and Whispers, which follows two women waiting for their long-suffering sister to die. The film opens with Harriet Andersson groaning and panting in physical agony, all the beautiful clocks in her nineteenth-century mansion ticking away each remaining second of her life. As Bergman takes us from quiet rumination to hothouse psychodrama and back again, he holds the specter of death up as a kind of mirror for his protagonists’ desires, resentments, and neuroses. This is the truth about death, as he understood it: it’s a rupture that forces the world of the living to reconfigure itself around it. Mrs. Fang presents a separate but not contradictory truth: death, like life, is sometimes a matter of just getting on with it. Staring at the dying subject’s grimacing face, and hearing the sad, uncomprehending, sometimes superficial commentary of the family members gathered at her side, Wang is sharply attuned to what little the camera can bear stoic witness to and all that eludes the frame’s grasp. For all the riches on display at TIFF, this film—as all his films are—is a sobering reminder of the uncontainable realities that lie just beyond the darkness of the screening room. The Rider and Western will make their U.S. premieres at the New York Film Festival, opening this Thursday at the Film Society of Lincoln Center.